When you are planning to start getting serious with your exercise and try to make your muscles pop, you are going to need to pay attention to your diet. This article should help to point you in the right direction with our bodybuilding meal plan. Exercise alone will not give you the body that you want. Muscles need the right building blocks for them to grow. This is why you will need a muscle building meal plan. Without one, you’ll end up going around in circles. Bodybuilding meals are a lot different from your daily fare. You may think that all you need to do is to just eat a bit healthier, add a few more vegetables and fruits, and to cut down on their meals. However, that can be a big mistake. Sometimes, people who start a workout regimen do not think that they want to gain weight with their diet. That’s because they go into exercise hoping to get rid of the fat. The truth is that if you really want to succeed I building your body up, you will need to serious with what you eat. Bodybuilding Meal Plan or Weight Loss Diet? The first decision that you have to make is whether to have a meal plan for bodybuilding or for dieting. These are two very different things and what works as a diet for bodybuilding will not work when you are trying to get rid of the pounds. The bodybuilding community calls the bodybuilding diet bulking, while the weigh-loss diet is considered a cutting diet. To highlight the differences between the two, a muscle building diet will often have a lot of carbohydrates in it. Whole grains, breads, rice are a big favorite among those who want to build up their bodies. This is because they give them the fuel to keep on working out. A heavy exercise regimen will require lot of carbs since they are the most efficient duel around. On the other hand, when you are trying to lose weight, carbohydrates are considered a bad idea. This is because of the fact that they raise your insulin levels. With higher insulin, you will crave a lot more carbohydrates including the simple ones like sugar and others. It also doesn’t help that carbohydrates are easier to process than other types of food into fat. Excess carbohydrates can easily turn into fat deposits if you are not working out on a regular basis. That is just one difference. A different diet can also mean different meal times, different portions, and different food supplements. This is why you’ll need to make a decision now on which type of diet you are planning to start up. When you do, you will be locked on to that diet until you decide to change it. Making a choice between a muscle gain diet and a cutting diet will often be about what you want to do first. Most bodybuilders nowadays shift from one diet to another after going through a few months of one. This ensures that you can see the results of your exercise, while also ensuring that you don’t put too much fat on your body. When you start this cycle, you’ll need to be careful though. This is because it can be easy to fall into the trap of doing one cycle too long. For example, when you are bulking, you are building muscles, but you are also accumulating fat deposits. You cannot help that since you are eating a lot of calories and no workout can eliminate all the extra calories that you are ingesting. Bulk too much and you’ll have large muscle, but also get a lot of fat covering those muscles. On the other end of the spectrum, cutting diets are also a danger to your muscles. The main idea behind cutting diets is that you consume less calories than you use. This will force you to take from your body’s energy deposits. This is usually in the form of your fat deposits. However, your body also needs protein to function properly. When you cut, your body will take from your muscles the protein used to build them. Too much cutting and the muscles you built will slowly waste away. The key thing about alternating cycles is knowing when to stop and how to transition from one diet to another. Do it in the wrong way and you will end up with with a body that you wouldn’t like and your effort in exercising wasted. The way to do this is to have a transition phase. For example, when you’re moving from bulking to cutting, you don’t want a sudden shock to your system by going down in calorie consumption. If you drop 1000 calories off your bulking diet, your body will suddenly go into starvation mode. This will cause fat to be difficult to remove while also encouraging your body to build up more fat deposits. It also causes you to change in behavior. When you’re used to 3000 calories a day, your body will usually be demanding more calories by the end of the day. This can cause you to get distracted or be in a bad mood. A slow transition from bulking to cutting is the better option since your body will be able yo adapt to the lower intake of calories. It will also make it difficult to keep to the diet as your mind and body will always be craving for more food. Shifting from cutting to bulking can be just as difficult but in the opposite direction. When you’re cutting, you often have a lot lower carbohydrate intake. With a shift to bulking, you’ve got a lot more cars to play. The trouble is that this can cause you to balloon in weight. With more food intake, it can be tempting to just eat till satisfaction. However, it is possible to bulk in a way that ensures that you only gain lean mass. This will make it easier for you when you go back to the cutting diet. Now that you know the basics about the cycle between bulking and cutting, here’s how to properly build a diet to gain muscle and a diet that will help get rid of fat. The first step though is knowing exactly what goes into your diet. Bodybuilding food and dieting are actually pretty much the same – the only difference is their ratio. Protein, carbohydrates, and fats are the components that you need in your diet. A meal plan to gain muscle focuses on a lot more protein and carbohydrates. This is mainly because of your aim to build muscles. You need the protein as the main source for your body’s new muscles. The carbohydrates are what fuel your exercising. On the other hand, to avoid weight gain with your diet, the focus shifts to proteins and fats. Protein is still necessary because your body will still need it to fuel your muscles. Without protein, your muscles will cannibalize from your existing protein sources. An increase in good fat consumptions, especially Omega-3 fatty acids can make it easier for your body to consume fat deposits. If your body is already primed to consume fats for energy, it will depend on fat deposits more when seeking for energy. Let’s begin by talking about each component of your diet. The most important item is protein. It works well for both muscle-building and also for losing weight. There are animal and plant proteins that you can add to your food, with animal sources of fish, chicken, and beef being the usual favorites. The importance of protein in your bulking and cutting diet is because of its part in muscle growth. When you exercise, you cause stress and damage to your muscles. Your body then does its best to repair this damage. This is done by fusing and adding new muscle fibers to the damaged muscles. This is the burn that you feel during an exercise, muscle fibers torn apart and that need repair. To cope with the damage and avoid it happening again, your body repairs these fibers with more layers and adds to their thickness. As long as muscular reconstruction is faster than their destruction, muscle growth happens. To create these new muscle fibers, your body requires a lot of protein. Actually, a lot of your body’s organs need protein, with red blood cells requiring protein as part of their creation. The stress of exercise can force your body to need to repair other parts of itself. Considering its importance, a lot of experts recommend the intake of one gram of protein for every pound of body weight daily. This means that a 200 pound individual will need 200 grams of protein a day. Fats are the next component in your dietary list. This may come as a surprise to many who think that all fat is bad. However, there are good and bad fats. Saturated and trans fats are usually those that are classed in the bad category. These are the fats that often become solid in room temperature, earning them the name of solid fats. For healthier fats, you will have to go to unsaturated fats. These can help improve blood cholesterol levels and reduce other chances of disease. These fats tend to be liquid in room temperature so they are better known as liquid fats. One noticeable example is omega-3 fatty acids that can be gained from fish sources. Why eat these fats then? Besides the already mentioned health benefits, there is the fact that your body shifts to consuming calories from fats instead of carbohydrates after a certain amount of exercise time. Without fats, your body then consumes protein, which is something you do not want. There is a lot of energy found in fats, too. You can get double the amount of calories from one gram of fats than you can get from carbs and protein. With all that power, it is recommended to ingest only 0.4 grams of fat a day per pound of your body weight. Finally, there are carbohydrates. Carbs are the most important part of any diet depending on what you are attempting to do. If you are building muscles, you will be needing a lot of carbohydrates. This is because carbs are the source of energy for your exercises. With more carbohydrates, you’ll be able to do more. 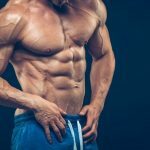 Considering that muscle growth is based on the how stressed your muscles become and how much activity they have gone through, this is important. High-carb diets from grains and other complex carbohydrates are a favorite of many bodybuilders because of this reason. However, while carbs are a big help during bulking, they can be a problem when it comes to losing weight. Eating a lot of carbohydrates is a big problem because they are easily processed into fat deposits in your body. This happens because the carbs encourage high insulin levels. Insulin is a “fat storage” hormone that encourages your body to store carbs as fat. As you eat more carbs and you are expsoed to more insulin, you develop an insulin resistance. This means you have higher insulin levels which results in more carbs being stored as fat. This is a vicious cycle that can cause a problem for weight loss. Now that you know what these three provide you, it’s time to look at the portions you should be eating. You already know some of the basics of it with how many grams you need for protein and fats. However, you’re going to need to go beyond that. There’s going to be some number crunching with different factors depending on what you want. For any diet, you will want to start with determining your calorie consumption. This is actually pretty simple. Just start with your body weight in pounds then multiply it by a number ranging from 18 to 22 if you’re a man and 16 to 18 if you’re a woman. This indicates how active your lifestyle is. A sedentary one has the lowest multiplier. The most active lifestyle will need the highest multiplier. The next step is to divide the portions. Determine protein by multiplying your body weight by one gram and then multiplying it by four. Fat is 0.5 grams per pound and then multiplying it by nine. Add the two numbers and subtract it from your calorie amount. The remaining amount is how many calories you have for carbohydrates. For example, as a 200 pound man, you will get 800 calories of proteins, 900 calories of fats, and 2700 calories of carbohydrates on a daily basis. This is how much you will need to consumer to start your muscle building diet. If you are planning to cut, you move calories from your carbohydrates and push it into fats and protein. A cutting diet distribution of calories would have proteins and fats on par, and carbohydrates being the lowest contributor. Now you know exactly how many calories you need to eat, you’re going to need to determine what you are going to eat. A bodybuilding food list takes into account not only the raw numbers but also the quality of the food you will be eating. For example, red meat is technically a protein source, but salmon or chicken meat would be a “cleaner” source of protein as it has less fat coming with it. As a source of complicated carbohydrates, oats are a good choice. This is because besides the carbs that are not so easy to convert to fats. They also provide dietary fiber which contributes well to digestion and low amount of sugar. If you are looking for the best source of protein out there, fish is the place to turn to. With none of the bad fats found in red meat, salmon provides a lot of protein that you need. The fat that it does have is omega-3, which can help stabilize your insulin levels. An excellent example of liquid fats, coconut oil is 90% saturated fats. That’s the highest percentage found in any food out there. This can provide a big boost of good cholesterol to your system. You can take it straight up or use it in cooking your meals. Two teaspoons before every meal is a good compromise. These are just the beginning. A lot of experts out there can offer a whole range of foods that you can eat so that you can find your bulking and cutting appetizing. Now that you know the basics of the bulking and cutting cycle, you can start taking the first steps. However, there’s more to learn so I would recommend doing further research so that you can refine your bodybuilding meal plan even further. Consistency is key to being successful in many things and I think it should be relevant when it comes to body building meal plans. From your post, you talked about cycles and how body builders shift from one diet to the other after a while. How does this create impressive exercise results? Hi. To achieve good results bodybuilders must consistently exercise. The other part required for success in muscle building is a proper diet. 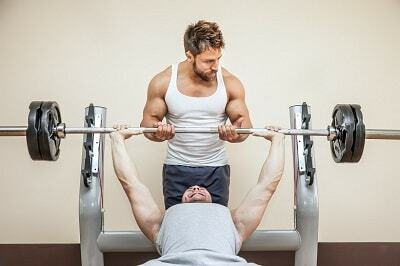 To build muscle in most effective way bodybuilders cycle their diet and supplementation. Usually, they start with bulking phase when they mainly build their mass, then they switch to a cutting phase when they try to burn the excess of fat to make their muscle more visible. Each phase has a different type of diet. Check these articles to learn more about bulking diet and cutting diet. Never knew the difference between bulking and cutting diet until I bumped on this piece. I’m going to work on my meal plan today to ensure it’s in line with my body building goals.